This is a Special Offer that cannot be combined with any other offers. “Carriage Me Away” has limited availability so 24 hour prior reservations are required with pre-payment. Guests must check-in 15 minutes prior to booked ride in order to depart on time. There will be no refunds once payment is received. Payment can be made physically at our office or online using the “PayPal Pre-Pay & Gift Certificate” Button above or below. If you have questions about this or any other offer, please contact us at 602-796-3495. Thank you. We also have several group horseback ride times or a private ride you can reserve for any time. 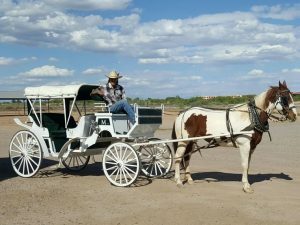 If you might be interested in a horseback ride along with your wagon ride, we can surely help you out there. 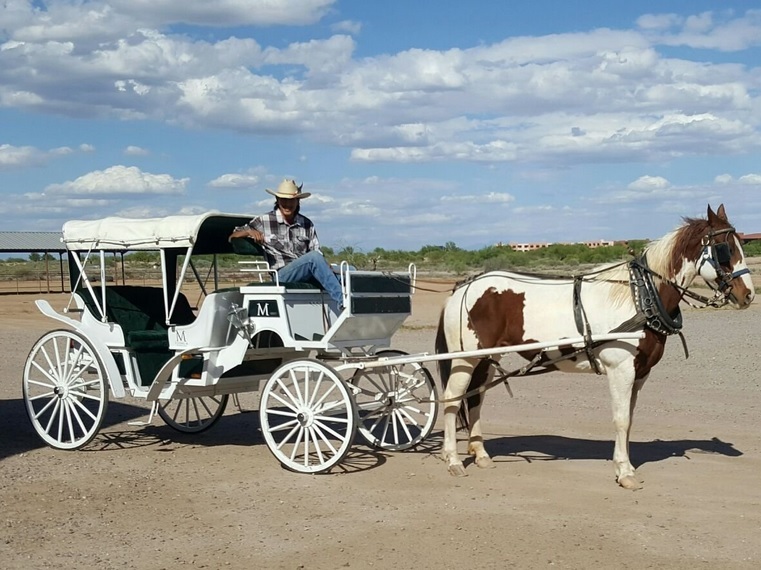 The regular Wagon Rides do not include a horseback ride, but call us to get special pricing for both.